Error Browsing from Client: "You do not have permission to view this directory or page." HTTP Error 401.2 - Unauthorized - You are not authorized to view this page due to invalid authentication headers. Inside of IIS, you can find your WebAdvantage application by expanding Sites > PMP > WebAdvantage. 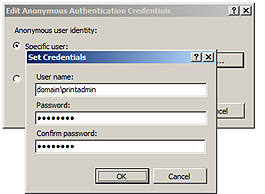 Within WebAdvantage selected, double click the Authentication Icon. This will open the Authentication Settings.